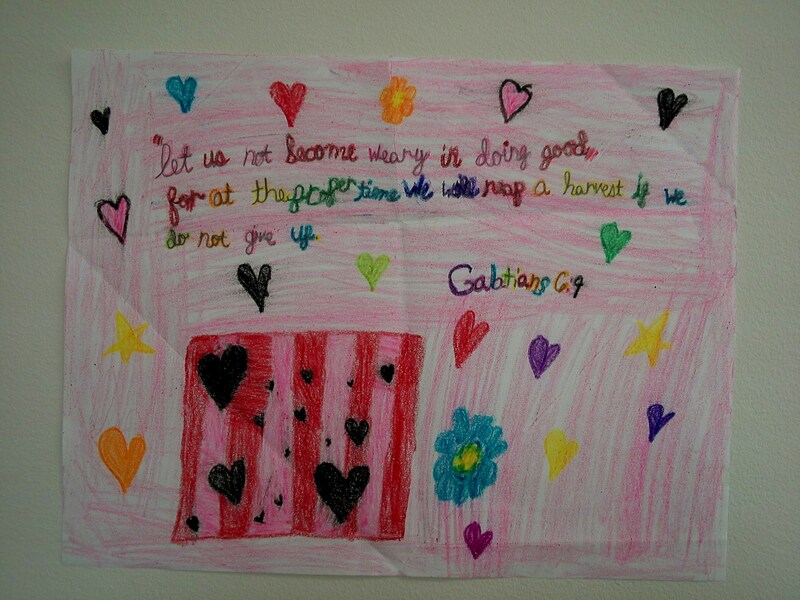 Picture verse Lily made for me to hang at the office. Are you putting something in the microwave for 60 seconds? Use that minute to unload the silverware or cups from the dishwasher. Does your dinner need to simmer for ten minutes? Empty the sink while you wait! Maybe you need to hang out in your young kids’ room so you can be on stand-by while they’re making their beds. You can use that time to put away their laundry or pair their shoes together in their closet. We don’t need to wait until we have enough time to do a complete or perfect job before we can begin something. Using little minutes now will save big minutes later. Question: How do you like to use your little minutes?